There’s just something about Billy Joel on a Sunday afternoon, isn’t there? I love his artistry, his lyrics and he is most definitely a master on the piano. This is the song my son played in the car the other day and I just couldn’t get it out of my head. I’m assuming you all know and love this song, but it’s always fun to listen to old favorites. I do hope you enjoy! The Song Lyric Sunday theme for this week was give/giving. Please feel free to click the link, read the rules and post one of your own. I love it when music inspires me. I’ve been listening to music more lately, since I am now carpooling with my son to work. He received an internship with my company, so we drive to work together three days a week. I’m excited for his amazing opportunity, but it’s also a fun way to spend time with him. Music has always brought us together, and this is no exception. We were driving to work the other morning and while I was listening to a song he picked (which was amazing by the way), I found two key words that gave me the theme for today and next week. That’s always fun when I can come up with two at the same time! I’m slightly late this week. I actually almost forgot to post this, which is pretty crazy considering how much I love SLS. But, I remembered so you can all breathe a huge sigh of relief. Let’s put on our thinking caps, break out our playlists and get to work! Our theme for Song Lyric Sunday this week is give/giving. I had the perfect song in mind for today, and I was honestly shocked that I hadn’t used it before. However, I noticed that someone else already picked it today, so I went back to the drawing board. I did happen to find our theme word buried in the lyrics to this song, so I’m going to go with it. “A thousand lost forevers”. Besides, Matchbox Twenty is one of my all-time favorites, even if it has been a while since I’ve listened to them. It didn’t stop me from remembering every single lyric to this song. I was surprised I remembered, but it was sort of like riding a bike. It all came back to me in a flash. 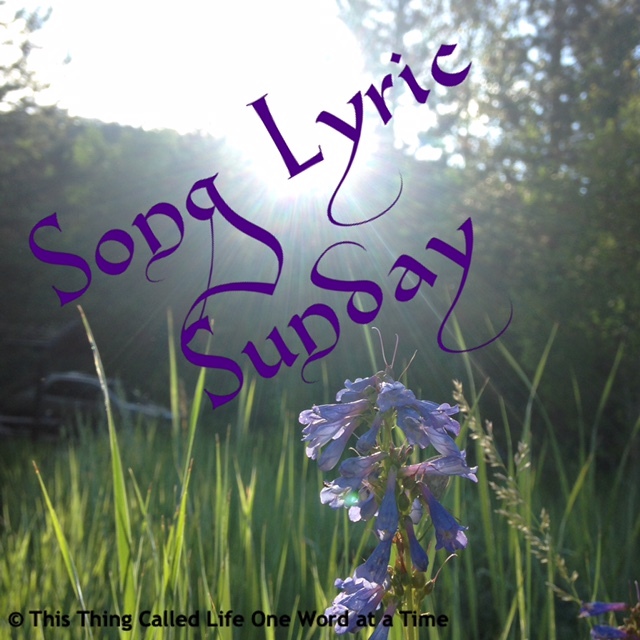 The Song Lyric Sunday theme for this week was lost. Please feel free to click the link, read the rules and post one of your own. The past few days have been rough for me. I seem to catch every little thing that’s floating around out there, but for me, it attacks my stomach. I’ve had a hard time eating anything and I’m telling you, I really miss food right about now. I thought for sure I would feel better today, so I tried eating normally this morning, and I’ve been paying for it ever since. Anyway, I just realized that I hadn’t posted the theme yet and I hadn’t even thought about it much this week. So, I’ll be going with one you all gave me when you were trying to guess the theme last week. 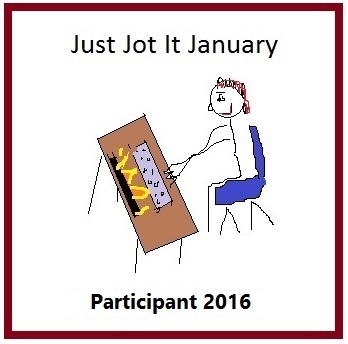 It is really close to what we did last week, but it is technically different, so I’m just going with it. Without any further grumbling from me, let’s just get right to it. Let’s put on our thinking caps, break out our playlists and get to work! Our theme for Song Lyric Sunday this week is lost. I’m feeling like a terrible host. I haven’t listened to all your entries in three weeks now! I know I always say it, but I really do mean it; I will catch up. One of these days I will also stay caught up for more than a week. This song suits me just fine today. It makes me want to listen to the whole album and just drown in the grayness of it all. I think there are beautiful moments in the album, but I wouldn’t call it “happy”. Anyway, I don’t have much else to say. I just hope you enjoy the song as much as I do! The Song Lyric Sunday theme for this week was hide/hiding/hidden. Please feel free to click the link, read the rules and post one of your own. I’ve always loved fall, but in the past few years, I haven’t enjoyed it as much because I knew it was leading straight for the holidays, and I was boycotting them. This year, though, I’ve made a very concerted effort to change from a scrooge to an elf. Not that we’re quite there yet, but I did pick up a few fall decorations for the house today. I used to be all about decorating for every season and I’m hoping to get there eventually. For now, I will settle for a cute door sign, a table cloth and a fake pumpkin on my doorstep. I was amazed last week at how many people got so excited about guessing the theme for this week. I didn’t think it would be all that hard, but it was a mystery until late on Sunday. If you’ve read through the comments, hopefully you’re prepared. If not, this is just like old times. Without any further rambling from me, let’s just get right to it. Let’s put on our thinking caps, break out our playlists and get to work! Our theme for Song Lyric Sunday this week is hide/hiding/hidden. I know what you’re thinking. This is a pretty desolate song to post on my birthday, and I suppose it is, but I had a plan and I don’t really have time to think of another one. My hubby took me to the mountains for my birthday weekend, so I’m trying to set up all my posts while he’s sleeping so I don’t take away from our fun. When I first heard this song and read the lyrics, I really gravitated towards the sadness and the despair, but now that I’m in a better place, I can look at this song in a different way. I think we all have times in our lives when we are at the bottom, so to speak, but there is a way to leave that life behind and start a brand new one. I should know; I’ve done it. Seether is honestly one of my favorite bands and I pretty much love everything they do, so I hope you like this as much as I do, even though it feels like a downer. Go unnoticed, let the freedom wash away. Losing focus, the pretense is second nature. I feel dismayed, just like you do. So find me a way, to leave this wasted life behind me after all. Yes, I see you surrounded by the hopeless. By the hopeless life that you cling too. I feel disdained, just like you do. And just leave me here.. Just leave me here.. Just leave me here.. The Song Lyric Sunday theme for this week was find/found. Please feel free to click the link, read the rules and post one of your own.